Early this month, Xbox’s Larry ‘Major Nelson’ Hryb announced on his twitter feed that Rugby League had been made available for download on Xbox One. Judging by the first 20 or so replies to his tweet, the initial reaction of many of his followers was to rejoice that the previously PS4 exclusive Rocket League had finally come to Xbox. However, upon re-reading the Major’s tweet, the same followers were dismayed and puzzled that Rugby League Live 3, not Rocket League, had been released for Xbox One and PS4. Unlike most of the Major’s followers, I was not especially dismayed. Some hours before I had purchased my copy from my local game store having anticipated the game’s release since its announcement. 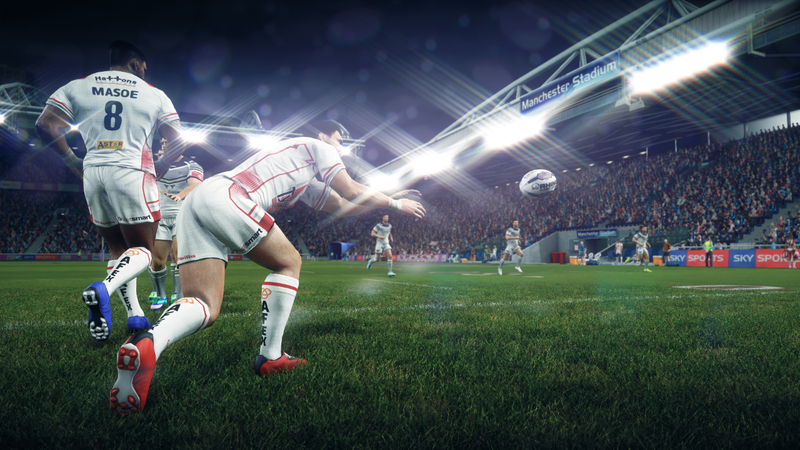 Rugby league is a curious sport and an odd choice for a sports game franchise. Rugby league is an off-shoot of the much more internationally-recognised sport, Rugby Union. It is important in only two of Australia’s seven states, a small part of Northern England and is at best a secondary or tertiary sport in New Zealand, the Pacific Islands and in the distant past, France. In fact, the only country where rugby league can be considered the national game is Papua New Guinea. As I was born and raised in the Australian Rugby League heartland of Queensland, rugby league is the game of my blood. Rugby league is not just a sport but a connection to home and a link to familiar places, old friends and time-honoured rituals . For this reason, while I had doubts about the game’s quality, I was looking forward to this third iteration of the Rugby League Live series and the first this generation of consoles. Despite my reservations, the game’s developer Big Ant have done an amicable job translating the chaos and moving parts of rugby league to the digital world. Rugby League Live 3 is not a great game. In fact, it might not be an especially good game. The game’s AI isn’t great, it is too easy to play defence, too hard to score, and the mechanics aren’t especially crisp. Still, it is easy to see that the game is made with a passion for the sport. It features the top leagues from Australia and England, a range of lower level competitions, and an extensive collection of stadiums. The effort that has gone into faithfully recreating teams from the Queensland second division, an association that attracts attendances measured on a good day in the hundreds, is as commendable as it is unexpected. Like Big Ant’s other recent title Don Bradman Cricket, the game makes the most of the limitations of licensing through creation tools that enable users to make additional players, teams and referees. Through user-generated content, the game’s already-impressive roster is filled out with smaller international squads as well as historic teams. 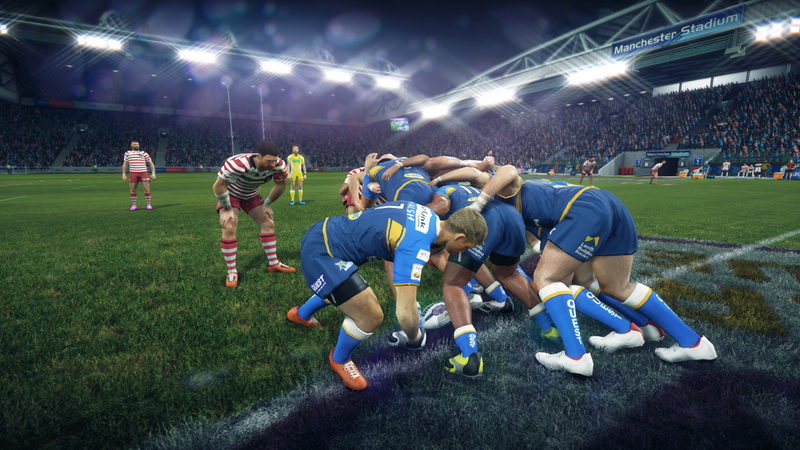 One week before the release of Rugby League Live 3, the game accompanying the 2015 Rugby Union World Cup developed by HB Studios hit shelves. Despite the similarities to the casual observer, HB Studio’s Rugby Union title might be the worst game on the new consoles. IGN awarded it a 1.5 out of 10 and described it as ‘unbearable’ and ‘horrible’. Given the breadth between the quality of the titles, the potential for confusion is unfortunate. Complicating matters even further, Rugby Challenge 3, a follow up to the excellent Rugby Challenge games is scheduled for release later in the year. 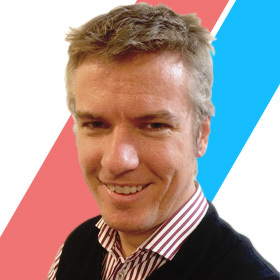 The potential for brand confusion may limit the wider appeal of the game but the games’ markets are probably well-defined. It speaks volumes that the most mentions of Rugby League Live 3 on Twitter originated with video game stores hailing from England’s northeast like Hull, Wigan and Castleford. Seeing rugby league on my console is an odd experience. It would be like seeing my street on a TV show or movie. It strangely familiar but also alien. It is hard to believe that rugby league is on the same console as the global icons that are FIFA, the NFL or NBA. A rugby league video is a wonderfully absurd proposition. However, the existence of Rugby League Live 3 (and its relative quality) gives hope for good titles for other niche sports. Big Ant already has made two Australian Rules simulations for the previous round of consoles and rumours persist that the are developing a lacrosse title. Even amongst Australian and New Zealand fans, Rugby League Live 3 might get lost amongst the FIFA 16, Forza 6 and big non-sports game buzz of Metal Gear and the wave of holiday releases. That would be a shame though, not because Rugby League Live 3 is better than those titles, but because it represents a smaller but ambitious and worthwhile category of game that is becoming rarer on consoles. As Rich Grisham highlighted in his series on indie games, these games like Super Mega Baseball and the smash hit Rocket League aren’t coming out that frequently and tend to slant arcade rather than simulation. Personally, despite the game’s limitations, it is great that a decent rugby league game exists that allows me recreate the Queensland victories in the State of Origin series, smash the Kiwis in the Trans-Tasman international matches or for a laugh determine who is the best of the worst semi-professional teams in England’s north.